In a word, that’s what Camp Korey means to me. 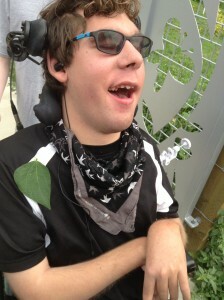 There are many who may use “confined to a wheelchair” to describe my son Alex, but I would much rather you say “person who uses a wheelchair” any day of the week. It’s part of a people first language movement that puts the person before the disability. To me, the word brings to mind images of prison, maybe even handcuffs. It implies a lack of choice. A lack of possibilities. Limitations. At Camp Korey, the campers arrive with serious and life-altering medical conditions. They may have had lots of surgeries, lots of medical procedures, and are used to people telling them what they can’t do. People ask questions like “what happened to your?” and “what’s wrong with you?” At Camp Korey they bond with each other over common struggles, they stretch their limits and they try new things. They take risks with the full support of the counselors and other campers. Camp Korey is something special. It is a place where Alex is unconfined. 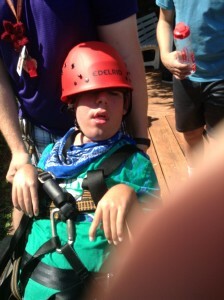 At camp this year his favorite activity was the zip-line. Last year his favorite was horseback riding and swimming in the hot tub. Camp Korey is a place where he can be appreciated for who he is without constantly having to prove that he is good enough to deserve a place. At Camp Korey he doesn’t need to prove he is smart enough to earn a place in a general education classroom. Or normal enough to be friends with. He knows what it feels like to have people overlook him because they assume he just “isn’t all there” based on his physical appearance, based on the fact that he uses a wheelchair and a communication device. Camp Korey is a place where the counselors and campers saw his heart and appreciated his bright spark. He came home with his heart so full, he overflowed with happiness. 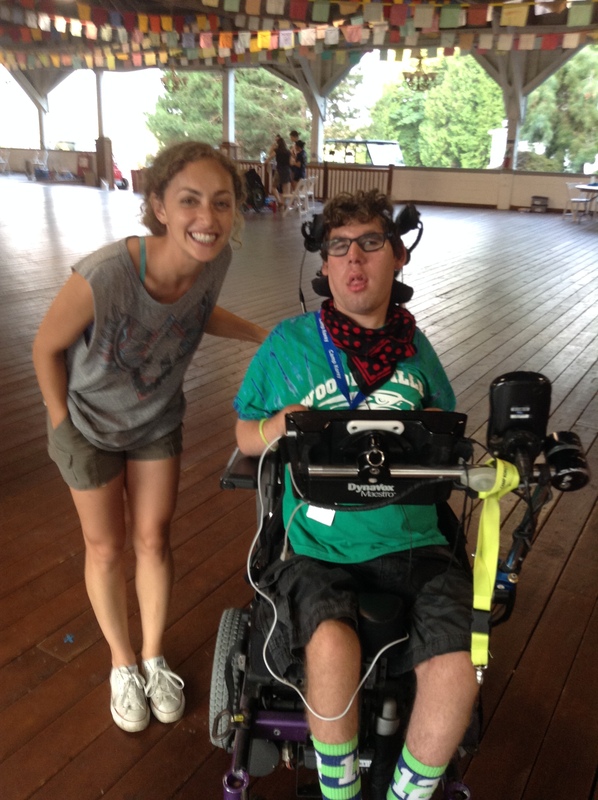 Camp Korey is a place where he is a kid first and a person with a disability second. It is a “person-first” place. A place where the heart is first. It’s a place where he is always unconfined. Visit Alex’s Blog to read more about his Camp Korey experience. This entry was posted in Family Spotlight, Parents. Bookmark the permalink. ← Grow Event Raises $1.6 Million!